Eloise Castillo Trujillo (b. 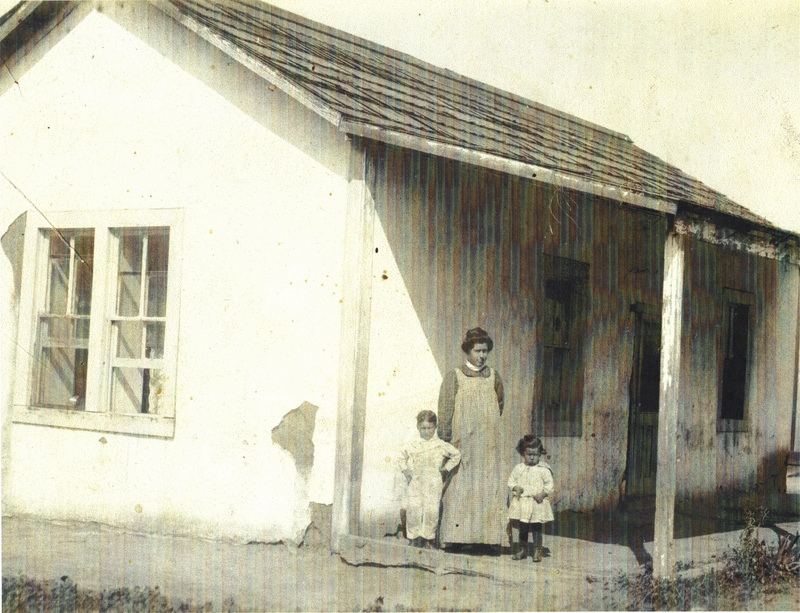 1882) with her son Ted Trujillo and daughter Olive Trujillo. 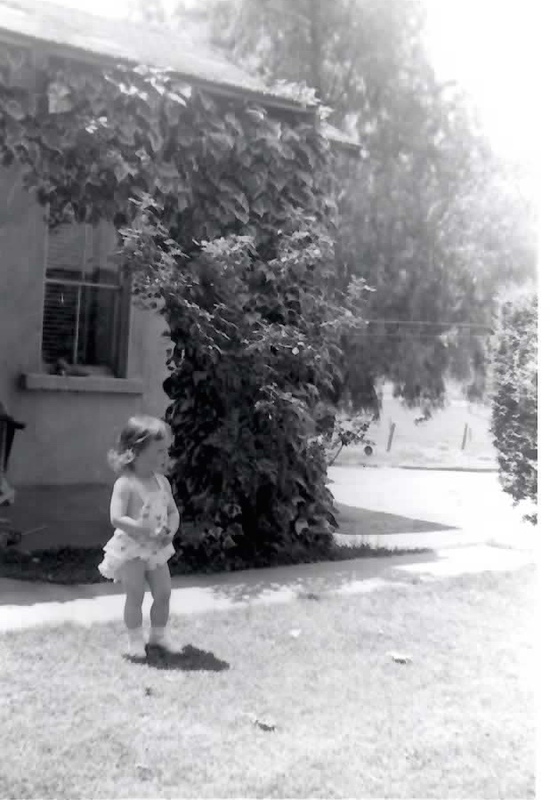 Beverly Mitchell, age 2, daughter of Margaret Trujillo Mitchell, in front of the adobe showing the ivy covered front porch and right front window, cement porch and sidewalk, front lawn and side hedge. 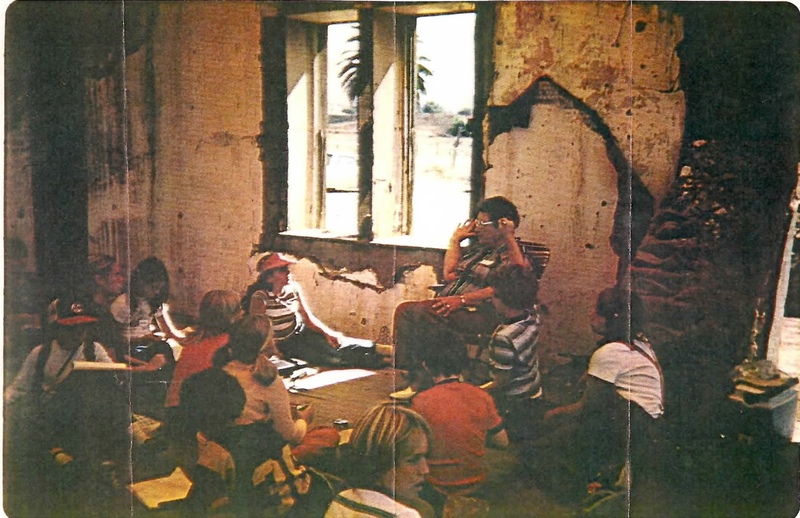 Olive Trujillo Vlahovich reading to children inside the deteriorating Adobe (view of now Center Street side window). By 2011 the Adobe had deteriorated so badly that only 3 walls remained. 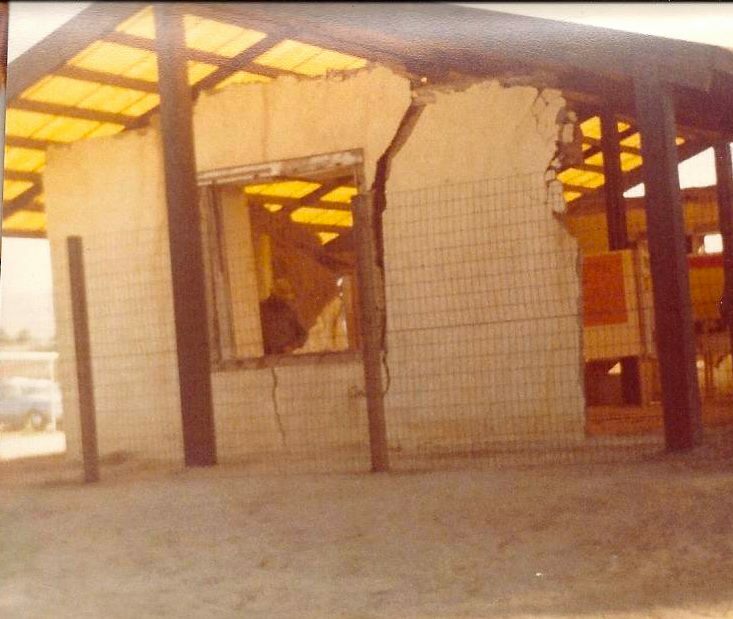 A protective roof was constructed to mitigate against further rain damage. 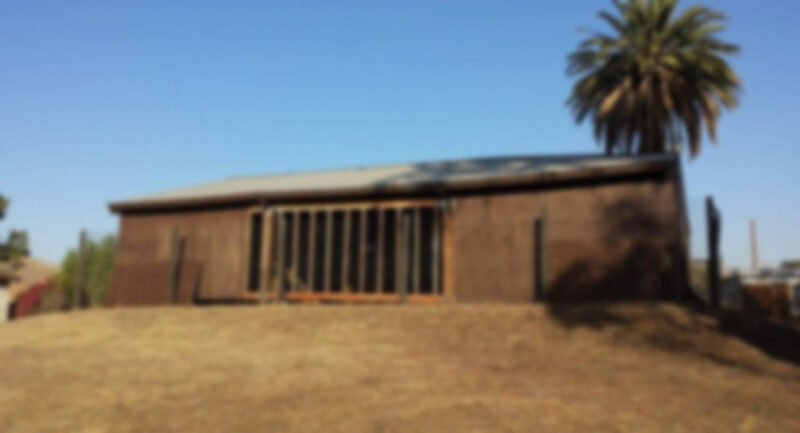 The Adobe is now fully enclosed by a wooden structure for it’s own protection but now hidden from public view. The opening visible in this photo was made available for a tour conducted in fall 2014 celebrating the creation of Spanish Town Heritage Foundation with the mission to preserve and protect the Adobe. The opening has been closed. Support the preservation of the Trujillo Adobe and the creation of Spanish Town, an “old town” village recreating 1843-49 La Placita. Say NO to the proposed 308,000 s/f warehouse 932 feet away from the Adobe. Go to www.savetrujilloadobe.com and email the Riverside City Council, Mayor and City Clerk and voice your support to uphold the appeal to deny the warehouse.